I use a variety of concealer colors on one face depending on what I am trying to correct so I thought this palette would be fantastic for myself and to use on my clients. 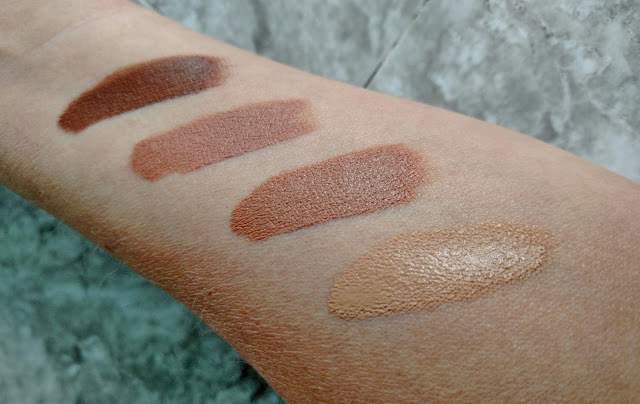 These are cream makeup colors to use for concealing, contouring and highlighting. There 8 colors for concealing and contouring, the top and middle rows. 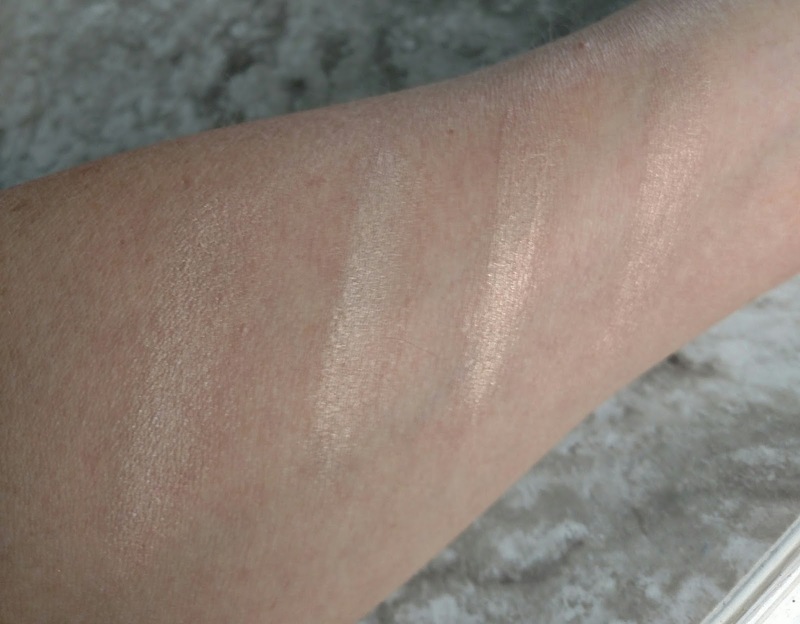 The 4 shimmer highlighting colors row are the bottom. The shimmers are very subtle. In fact, they are what I like best about the palette. This palette comes with a nice double ended brush and a how to booklet. I have to say, I love the brush! The bristles are soft and great for blending. One end of the brush is a dome blender brush. It's great for foundation application, too. I have read that people are unhappy that it is too wide to dip into the pans of product. It is wide. I prefer to use the smaller pointed brush on the other end for dipping into the product and applying, then blending with the wide brush. Lorac also has smaller contour kit with six colors that has larger pans that the wide brush does fit in. and creases stand out horrendously! However, I do find that this concealer sticks well on those hard to cover pimples and other blemishes. So if that's what you need a concealer for, it will work well for you! 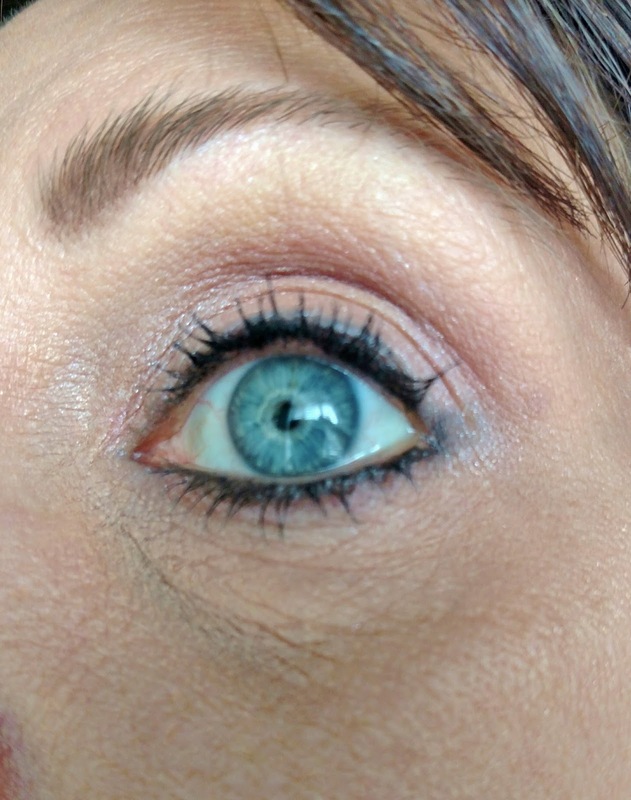 I'm still on the hunt for a truly crease proof under eye concealer in the right color. Tarte Shape Tape is pretty great but I would like it in a yellow orange. I'm not big on contouring on myself. My face is too contoured as it is. I do use some contouring on some of my clients, though. I find the colors to be too light or too dark so it takes a bit of mixing to get the right color. The texture of the contour colors is thinner and creamier than the concealer colors so they go on with more sheer coverage. The highlighter creams are light, sheer and subtle. I like the gentle shimmer they give to the cheeks and brow bone. 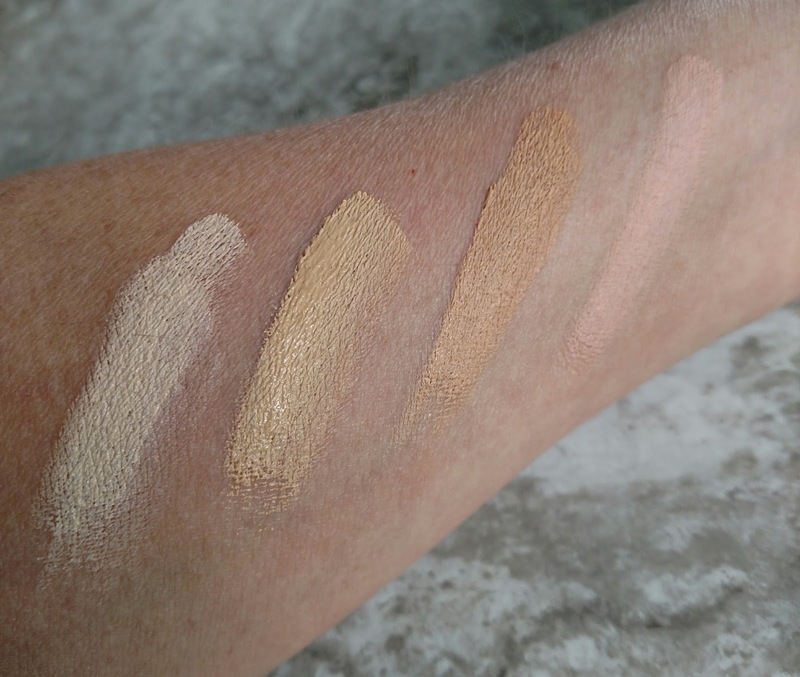 The texture of the highlighters is thin and creamy. This palette would probably work better on younger more oily skin. I find using Smashbox Photo Finish Primer Oil (which I completely love!!!) before applying the Lorac concealer does improve the dry appearance it has on me. You can always test this palette out at an Ulta Store to see how it works for you. There are some other palettes available that some people prefer, Anastasia Beverly Hills Contour Palette gets good reviews as well as the NYX Professional Makeup Highlight and Contour Pro Palette. H1, H2, H3, H4: Phenyl Trimethicone, Pentaerythrityl Tetraethylhexanoate,Dimethicone, Sorbitan Olivate, Synthetic Fluorphlogopite, Microcrystalline Wax, Methyl Methacrylate Crosspolymer, Diglyceryl Sebacate/Isopalmitate, Pentaerythrityl Tetraisostearate, VP/Hexadecene Copolymer, Polyethylene, Ceresin, Silica Silylate, Sorbitan Sesquiisostearate, Silica, Tocopheryl Acetate, Polyglyceryl-2 Triisostearate, Glyceryl Caprylate, Caprylyl Glycol, Tin Oxide. May Contain: Mica (CI 77019) *Carmine (CI 75470), Titanium Dioxide (CI 77891), Iron Oxide (CI 77491), Iron Oxide (CI 77492), Iron Oxide (CI 77499), Yellow 6 Lake (CI 15985). *May Contain carmine as a color additive. This palette sells for $45.00. Luckily, I had a special 20% off coupon that Ulta sends out from time to time to use on all makeup including prestige lines. Find the Lorac Pro Conceal/Contour Palettes at Ulta Stores and online, on Lorac.com and on Amazon.